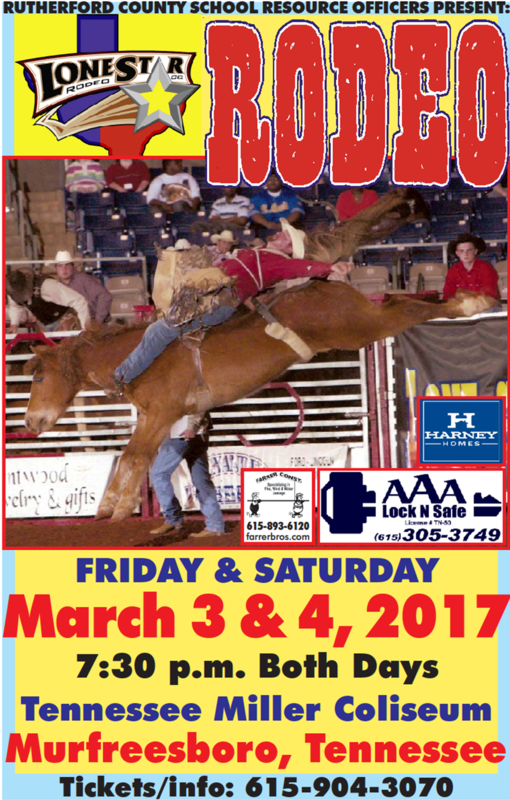 The 12th annual School Resource Officers’ Lone Star Rodeo will be March 3-4. 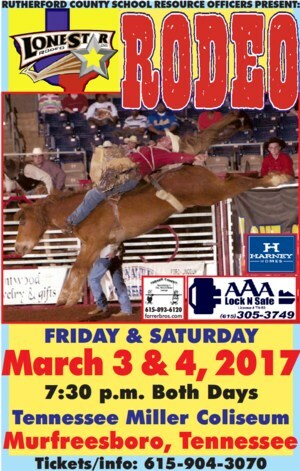 The Lone Star Rodeo Company rides in with the Great American Tour of barrel racing and bull riding at Miller Coliseum across from Siegel High School at 304 W. Thompson Lane. Gates open at 6 p.m. with the show starting at 7:30 p.m.
Advance tickets are $8 for children ages 5 to 12 and $10 for adults until Thursday, March 2. Children age 4 and under are free. Tickets at the door are $10 for children and $15 for adults.